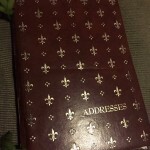 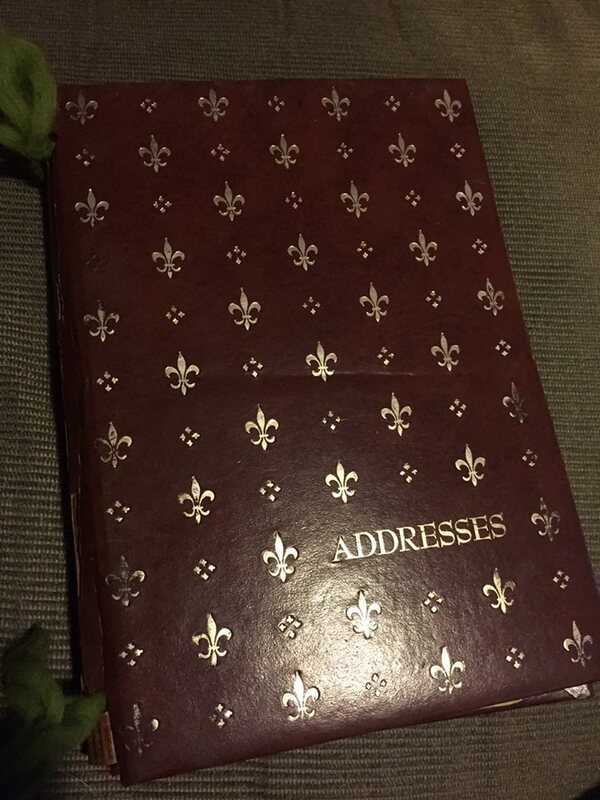 I found an old address book at Second Time Around Flea Market in the Summer of 2014. 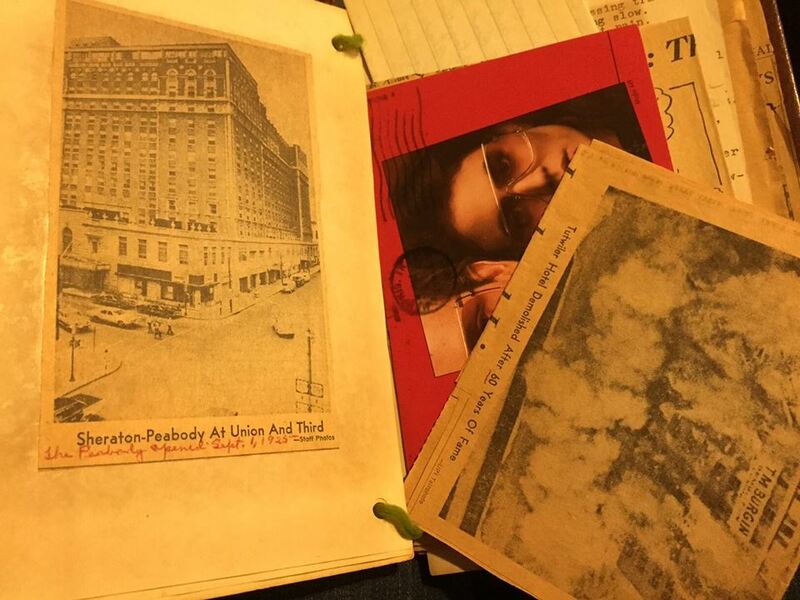 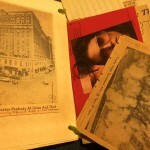 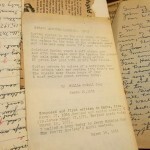 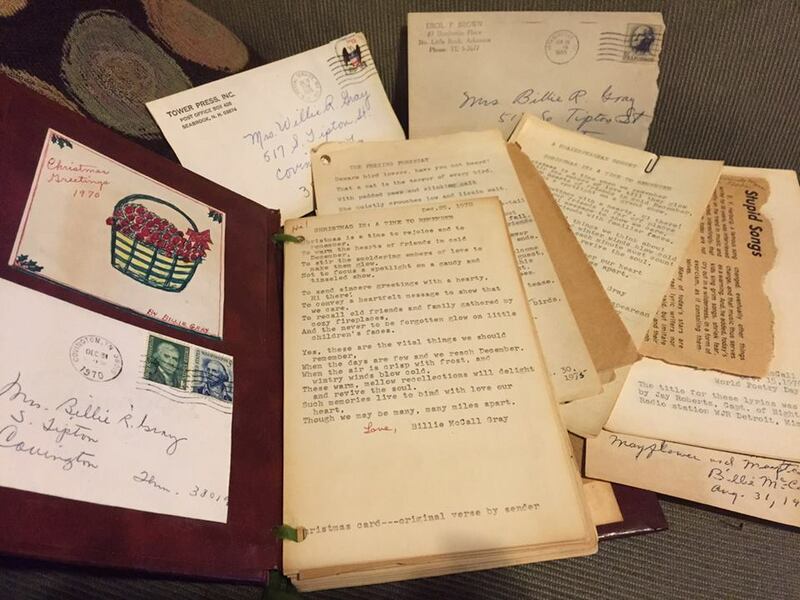 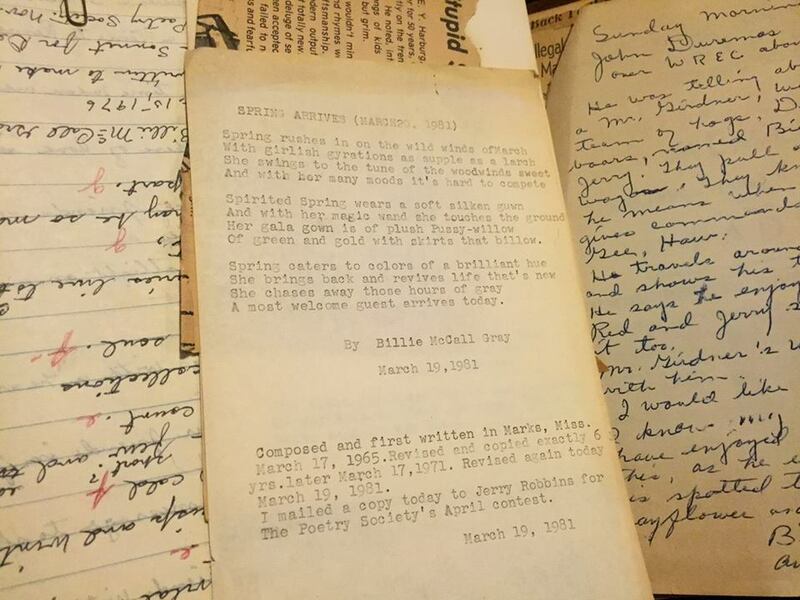 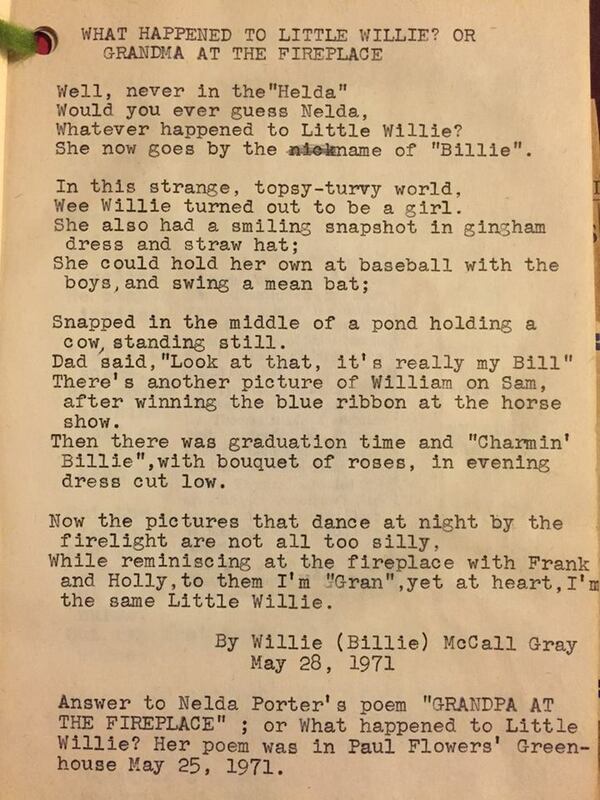 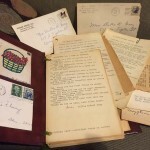 It had been repurposed in the 1970s by an older woman named Billie McCall Gray into a book filled with typed and handwritten poems and writings, along with clippings, drawings, and a few pieces of mail. 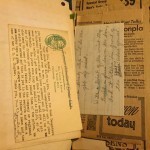 I attempted to find her family in 2014, but failed to find any connections. 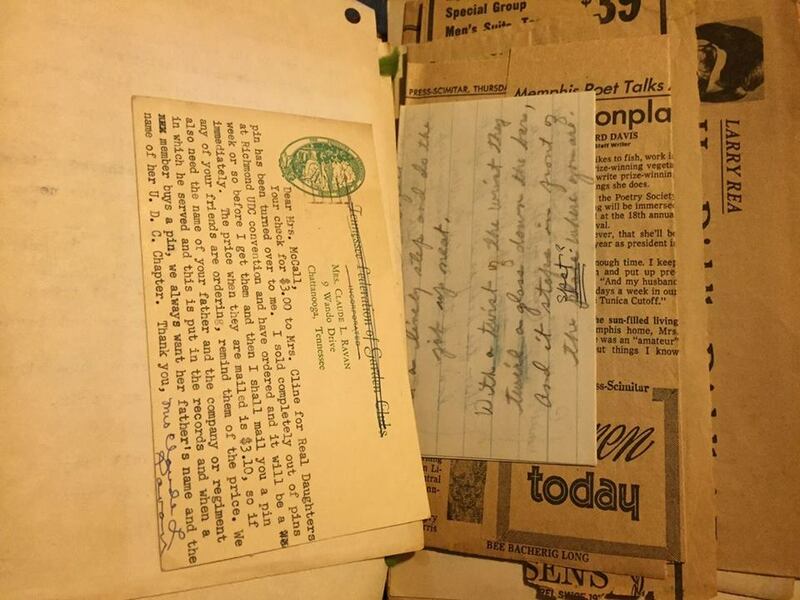 I went back to it in July of 2015 and my research led me to Mrs. Gray’s son’s obituary on FindAGrave which I was able to use to find her grandson and contact them. 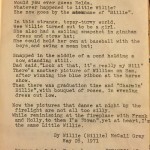 I returned the album of poems to the Gray family on 4 August 2015.